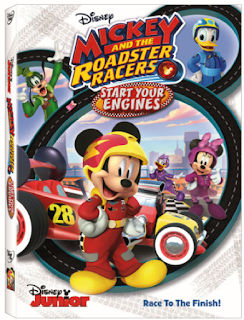 Mickey and the Roadster Racers are back with more fast-paced adventures on wheels! 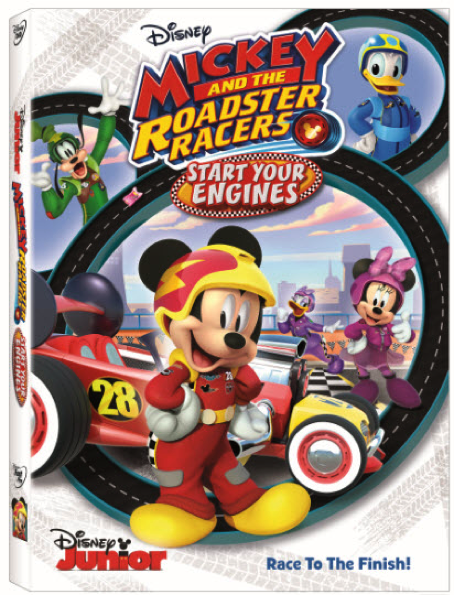 Join your favorite characters – Mickey, Minnie, Donald, Daisy and Goofy – and their high-speed transforming Roadsters as they compete in thrilling races stretching from Hot Dog Hills to Hawaii…and all the way to London, England! You’ll meet the world’s greatest spy, zoom through the skies in a revved up hot-air balloon race, and even return the Queen’s stolen Royal Ruby! It’s all about great friendship, teamwork, a little competition and humorous high-spirited adventures! Out on DVD August 15th! !